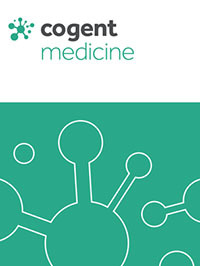 Seth Brayton, M.S., graduate of the School of Kinesiology, is the lead author of an article recently published in the journal, Cogent Medicine. The article, entitled “The impact of high BMI on acute changes in body composition following 90 min of running,” is the result of a study that examined acute changes in body composition measured before and after a supervised 90-min run at 60% of heart rate reserve in overweight and normal weight runners. Using dual X-ray absorptiometry (DXA) to measure composition, the overweight runners had higher body fat in all measured regions compared to the normal weight runners. No acute changes in fat mass measured at any fat depots occurred following the prolonged run in either group. Donald R. Dengel, Ph.D., professor of kinesiology and director of the School’s Laboratory of Integrative Human Physiology, is also a co-author on this article.